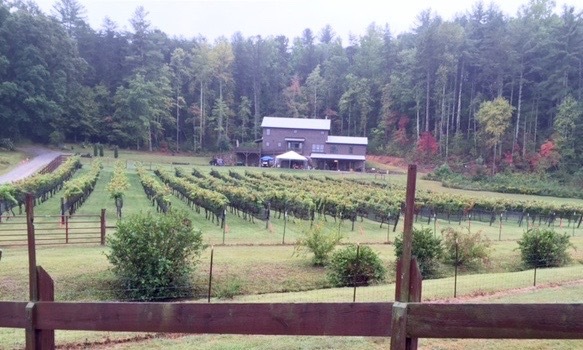 We’re often asked how Carl and I ended up with a vineyard and farm winery in North Georgia. (Even though we’ve lived in Georgia nearly 40 years, our Midwest accents give us away.) It all began when our family of five moved to Atlanta in 1977. We soon heard the call of the North Georgia Mountains and, over the years, visited friends with second homes on Lake Burton, Lake Rabun and Seed Lake, all Georgia Power lakes created by a series of dams on the Tallulah River in the early 1900s to run Atlanta’s electric streetcars. During a visit with friends in the mountain town of Tiger in the late 1990s, we tasted local “basement wine” at Leckie and Bill Stack’s. The Stacks along with Martha and John Ezzard both had recently co-founded Tiger Mountain Vineyards. 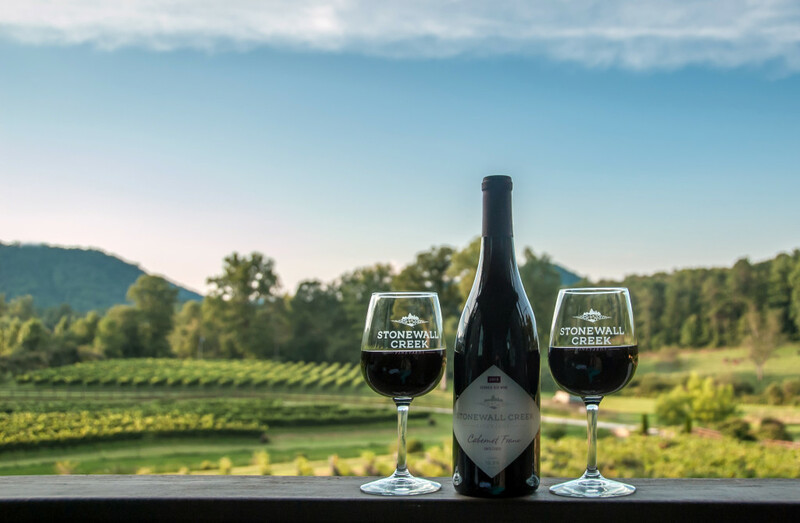 On our next visit to Rabun County, we tasted Tiger Mountain’s 1999 Rabun Red, a well-made wine from local vinifera grapes that showed the region’s potential. The timing was good as Carl planned to retire after 30 years as an orthopedic surgeon and was looking for a new challenge. 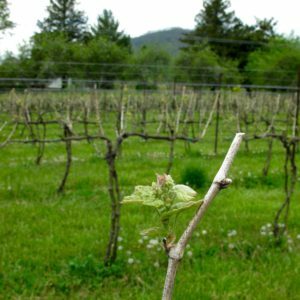 As Leckie Stack recalls, we “were hooked.” We scoured the county for vineyard land and, in 2004 we purchased 15 acres in a tired, old apple orchard four miles west of Tiger. On the recommendation of John Ezzard, in 2005 we planted 150 grafted Malbec vines. Over the next four years, we planted 2,850 Vitis vinifera vines—Cabernet Franc, Cabernet Sauvignon, Petit Verdot, Tannat, Petit Manseng and more Malbec—and experimented with different clones and rootstock. 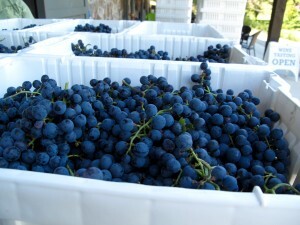 When Carl retired in 2007, we directed our efforts to nurturing grapes and learning to make wine. We sold our first harvest in 2008 to Tiger Mountain Vineyards and continued to work closely with them until 2011, when we decided, with the Ezzards’ blessing, to proceed with our own winery. The year before, we moved into our new house above the vineyards, added a winery below and applied to the state for a bonded farm winery license. We made our first wines in 2011 and, in August 2012, we opened our farm winery for tastings with just 60 cases of two wines—a white (Boriana) and a rosé (Yukari), both named for our daughters-in-law. We released our first reds in 2013—Cabernet Franc and a Malbec blend (Three Eagles), named for our three Eagle Scout sons. With five acres of grapes to look after and a winery to run, it soon became a second career. In the meantime, the Stacks sold their partnership in Tiger Mountain Vineyards and went into the farming and selling of fine wine grapes. We ended up purchasing and harvesting Petit Manseng and Norton grapes for our new second label, Standing Deer Cellar, reserved for grapes from primarily The Stack Farm nearby. It was very clear that we needed a tasting room and not just a corner in the winery. Following another construction project, we opened the Winery Tasting Room in March 2015 above our vineyards. We also opened our Sautee Tasting Room at InsideOut Sautee, in the Sautee Nacoochee Valley near Helen. Our second career has grown from 150 to 3,000 vines and from 60 to 700 cases of wine. Our small vineyard and winery allows us to focus on growing exceptional grapes and making fine wine.